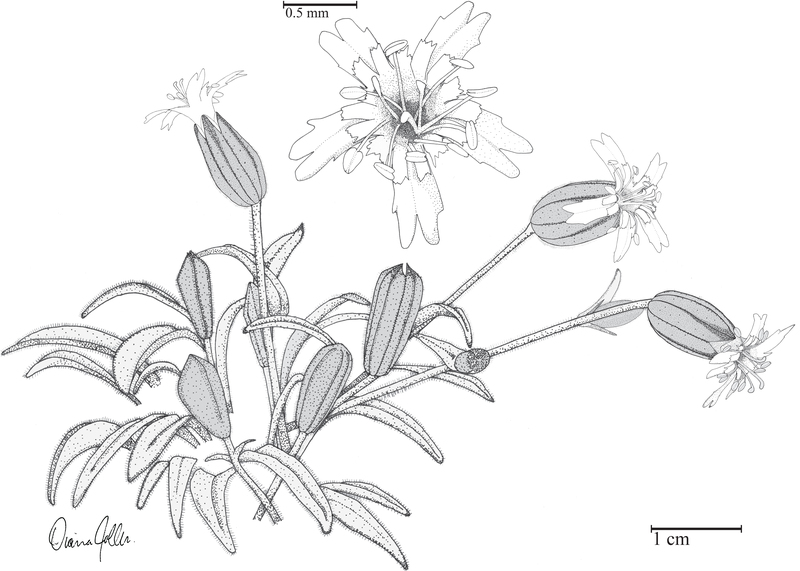 This entry was posted in San Gorgonio Silene, Uncategorized and tagged alpine, alpine flora, alpine plants, botany, Caryophyllaceae, Catchfly, new species, research, San Bernardino Mountains, San Gorgonio Mountain, science, Silene, Silene krantzii, Silene verecunda, Species complex, taxonomy by tstou10. Bookmark the permalink. Congratulations on the publication of your article! I read Gerry Brown’s introduction and it is very sobering. He is absolutely right about the water problems. They are worldwide and within the next 30-50 years people all over the world are going to be faced with some tough choices: either because they don’t have any water anymore, or because they do have water and someone else wants it! Thanks, Mary — it was a fun paper to work on!